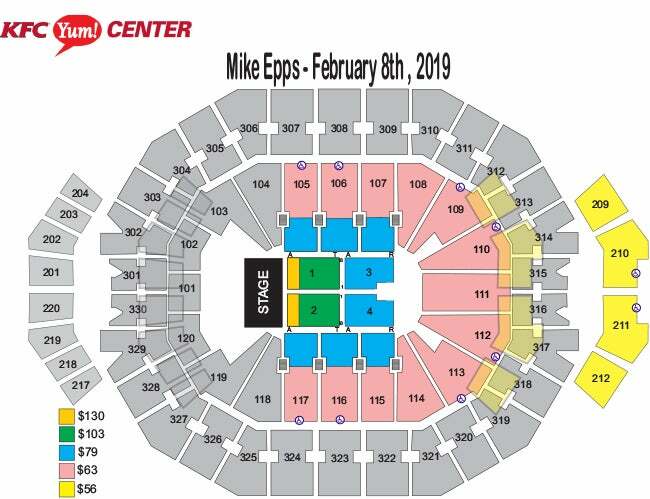 Mike Epps "Funny As Ish Comedy Tour"
Comedian and actor Mike Epps brings the “Funny as ish Comedy Tour” to KFC Yum Center in Louisville, Ky.
Epps will be joined on stage by some of the biggest names in comedy. 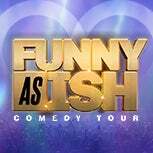 This includes comedian Lavell Crawford, who is quickly climbing the comedic ranks and becoming one of the hottest stars in the biz today. TV and Film credits includes “Workaholics,” “Breaking Bad,” “Last Comic Standing,” “Baby’s Mama Drama,” “Beverlyhood,”and more. A comedian, actor, social media influencer, musician and podcast host, DC Young Fly has proven that innate comedic ability, abundant creativity, and a passion for generating laughter in others can be translated across multiple mediums. Originally having picked up traction for his hilarious videos on Vine, DC is a hands down fan-favorite amongst today’s generation, currently holding an overall deal with MTV/VH1. Karlous Miller is a veteran cast member on MTV's “Wild ’N Out” as well. The NBC’s “Last Comic Standing” Alum, Karlous Can Also Seen On MTV’s “Joking Off”, BET’s “COMIC VIEW” and more. 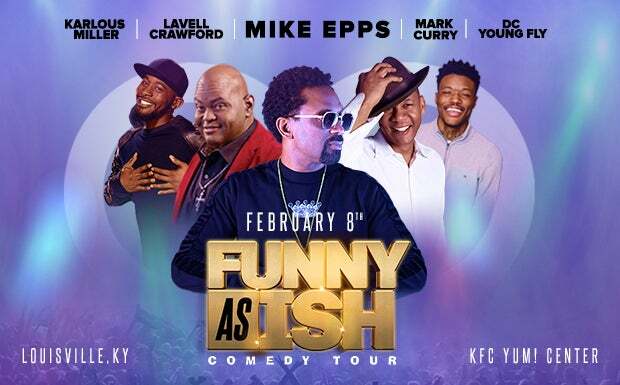 Perhaps best known for starring in his own hit television sitcom "Hangin' With Mr. Cooper," which ran for five seasons on ABC, and for hosting "Showtime At The Apollo," comedian, actor, host Mark Curry is packing the laughs as one of the top national touring comedy acts. Curry is currently playing Marcus on Nick At Nite's new sitcom "See Dad Run."